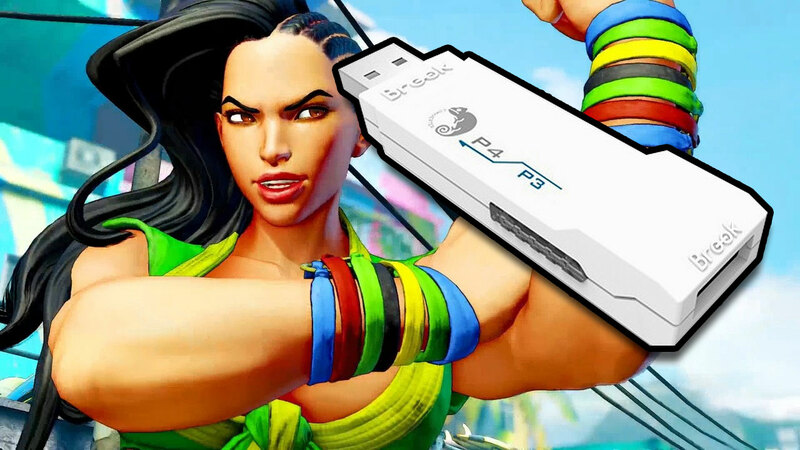 I have personally confirmed the white PS3 to PS4 adapter as working with a PS3 Madcatz TES stick and Qanba/Eightarc Fusion and Q4 sticks (in PS3 mode). Generally, the adapters will work with any wired PS3 or Xbox 360 pad/stick that is not auto-detect. They even have PS2-to-PS4 converters for you PS2 pad users! However, the devices do NOT work with PS360+ PCBs (because they are auto-detect). Once you have the adapter in your hands, you will then have to do a FIRMWARE UPDATE to update the device and enable Tournament Mode. This process is what prevents the 8-minute timeout and disables turbo settings. The firmware update process is easy and takes about 15 minutes, but it’s a little unintuitive due to the device’s LED color being confusing. Basically, the device’s LED color when updating is “Purple”, but the device’s color when Tournament Mode is enabled is “Blue and Red” (which is Purple, lol). So just be aware of that when doing the update process, it was confusing for me at first. Click here to purchase a Brook Super Converter from Arcade Shock. Use the drop-down menu at the bottom of the page to select the system you want to convert from / to. Download the firmware update / Tournament Mode file for your device. I.E., for the PS3 to PS4 adapter, you’d grab “PS3toPS4_20160115.rar“. Follow the firmware update instructions in the corresponding PDF file on the download page. I.E., for the PS3 to PS4 adapter, you’d read “PS4Series_20160114.pdf“. Please note that you DON’T need a PS4 controller to do the firmware update (I did it on my PC without a PS4 Pad and I had no issues). I just used the stick itself and it all worked fine. When you’re all updated and have tournament mode enabled, the light will always be PURPLE when plugged in and working. That’s it!